November kicks off with two opportunities to enjoy local film festivals in Asheville. The Asheville Cinema Festival runs from Thursday, November 1 through Sunday, November 4. This festival has its opening and closing nights at the Biltmore Grande cinema located at Biltmore Park in southern Asheville. In between, the remaining showings are in downtown Asheville. The Asheville International Children's Film Festival begins Friday, November 2 and runs through Sunday, November 11 for a 10-day celebration of the best in children's cinema. This festival has showings at various venues in and around Asheville. Let's take a closer look at what these two film festivals have to offer so you can start making your plans to attend. Here we go! We're not sure where else you'd be able to choose from a selection of 40 films that range from movie shorts to full-length films, all in the span of a few short days except for at the Asheville Cinema Festival. Opening night begins with a VIP reception and screening of Silver Linings Playbook featuring Bradley Cooper and Jennifer Lawrence. Friday and Saturday are the biggest days of the festival with venues at the Asheville Community Theatre, the Masonic Temple theater, and the back performance room at the Lexington Avenue Brewery. 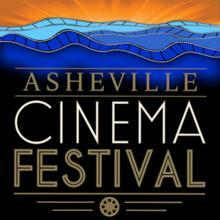 You can find the complete schedule for each day on the Asheville Cinema Festival's website. Closing night is Best of the Fest Day with screenings of the award-winning films at the festival in categories such as documentary feature, narrative feature, short films, and student films. The evening ends with the showing of the closing night film, Quartet, directed by Dustin Hoffman. Ticketing information can be found on the festival website. 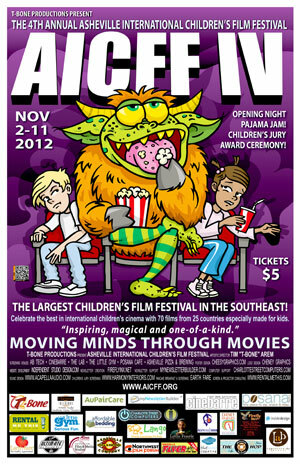 Slated as the Southeast's largest children's film festival, the Asheville International Children's Film Festival features over 70 films in a variety of genres. During the screenings you'll find a blend of live performances, animation, full-length features, shorts, historical films, and more. There are also hands-on workshops for future filmmakers. Friday kicks off with a folk funk pajama party for ages 3 and up, a concert, and sneak previews of animated films. Throughout the festival you'll find after-school screenings, "dinner and a movie" at local restaurants, and "best of" film screenings and awards. You can find the complete schedule lineup at the AICFF website. Ticketing for most of the programs is only $5 per person. See the ticketing page for full details and advance purchasing. 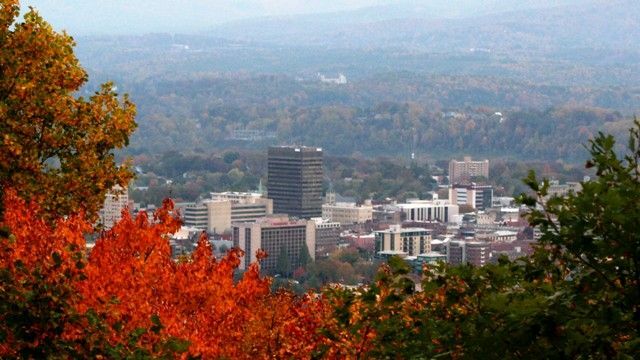 November is a great month to plan to visit Asheville and the surrounding Western North Carolina region. 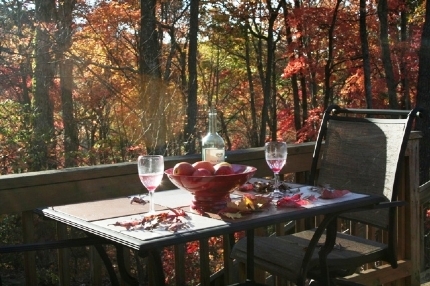 Plan to stay during November 21 through November 25 and Asheville Connections offers you $75 off selected premier vacation properties when you book three or more nights. Book online and just enter the discount code TG2012. The properties will be going quickly, so don't delay. We hope to see you in and around Asheville in November. Have you attended any of the film festivals? If so, be sure to tell us about it in our comment section. Happy screening! 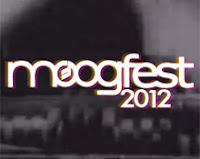 Moogfest 2012 in Asheville This Weekend! We know what you're thinking. What fest? Yes, we said Moogfest. It might help if we explained a little bit of its history, especially if you're not too familiar with Asheville, North Carolina. Moogfest is named after Bob Moog, inventor of the Moog synthesizer in 1964. His invention led to new forms of musical expression that many say changed the sonic world of music irreversibly. Today his legacy lives on at Moog Music, a company he originally formed in 1954 in Asheville. 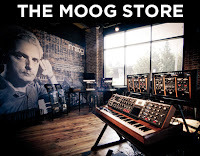 Moog Music continues as the leader in the production of synthesizer analog music as well as effects pedals. Big names such as The Beatles, Rolling Stones, Stevie Wonder, Pink Floyd, Parliament-Funkadelic, and others of various genres used Moog synthesizers to alter music as we know it. It's more than 50 years later and Moog instruments continue to define and innovate the modern sounds of music. They're used by artists including Daft Punk, Kanye West, Gorillaz, Radiohead, and U2. Bob Moog is credited with being the catalyst and innovative force behind the boom of sonic expression and having undoubtedly changed the sonic landscape of the music world. 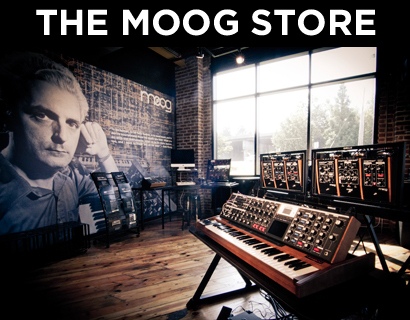 If you're in Asheville, head on over to 160 Broad Street to the Moog Factory and take a free tour or browse the store. It's your chance to experience the world of Moog and the only place where you can try your hand at every Moog instrument in production. Moogfest is a two-day festival that takes place this year on Friday and Saturday October 26-27 at various venues throughout downtown Asheville including the Thomas Wolfe Auditorium, The Orange Peel, Diana Wortham Theatre, and more. These venues host more than 30 artist performances during this music-packed weekend. Whether in the mood for Nas, Primus 3D, Black Moth Super Rainbow, the Blondes, or Killer Mike, festival-goers have a full lineup of scheduled performers from which to choose. So much music, so little time! If we leaving you wanting to learn more about Moog and the details of the festival, that's good! Though we can't cover it all here, the Frequently Asked Questions on the Moogfest website are the perfect resource for you. There you can find the nitty-gritty on your most pressing questions including ticketing information, parking, what you can bring in to the concerts, and which type of cameras are and aren't allowed, just to name a few. Another way to stay up-to-date on the most current information is download the Moogfest App (and yes, there's an app for that....). One final note, Moogfest has partnered with Slacker Radio, so you can listen to your favorites and tide yourself over until the concert begins this weekend. Asheville is going to be bustling this weekend, so start making your plans now. Make Moogfest easily accessible by staying locally right in downtown Asheville. 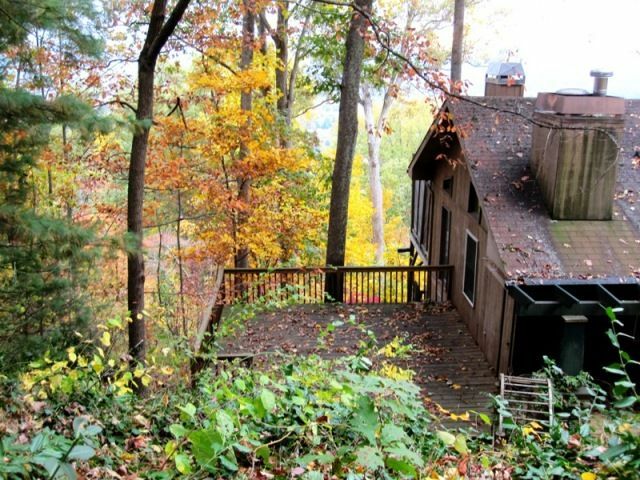 Or if you prefer to stay amidst the fall foliage, there are cabin rentals in some of the most beautiful areas of Western North Carolina. Getting a group of friends and family together for the festival? 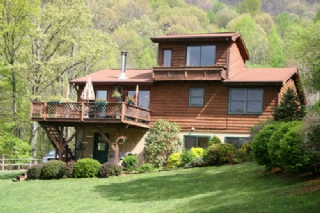 Make sure you look into our larger accommodations in and around Asheville to suit your every need. In addition to Moogfest this weekend, there are a host of Halloween activities happening as well. If you'd like more information on those, please visit the events calendar page on ExploreAsheville.com. They'll give you the full run down. Have you been to Moogfest? Tell us about your favorite artists you saw perform there. Are you going to Moogfest this weekend? Tell us about that, too. We always love hearing from you. Cheers to Bob Moog and his continuing legacy and contribution to music as we know it! It seems like an odd, yet fascinating, combination but it's true. You can find crafts, chrysanthemums, and Dr. Andrew Weil all in same place this weekend—Asheville! Technically, they won't all be at the same location, but you get the picture. Start your weekend early by coming out to the US Cellular Center on Haywood Street in Asheville from Thursday, October 18 through Sunday, October 21 to experience the Craft Fair of the Southern Highlands. This fair has been a tradition here locally since 1948 and highlights the work of the Southern Highland Craft Guild members, which are some of the best in the Appalachian region. With over 200 exhibitors showcasing both traditional and contemporary craftworks, fair-goers can find everything from clay, glass, metal, and fiber to leather, natural materials, paper, and wood works. There are also selections featuring mixed media as well as handcrafted jewelry. In addition to the opportunity to peruse and purchase crafts, visitors can also enjoy craft demonstrations and entertainment including Bluegrass and other live regional music. The entertainment lineup is jam-packed, so be sure to take in the full experience of the fair by making time to stop and listen to the music of the mountains. Hours for the Craft Fair of the Southern Highlands are 10a.m. to 6p.m. Thursday-Saturday, and 10a.m. to 5p.m. on Sunday. 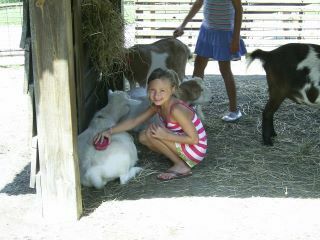 Admission is $8, children 12 and under receive free admission. On Saturday, October 20 and Sunday, October 21 from 10a.m-5p.m., the North Carolina Chrysanthemum Society Annual Show takes place at the North Carolina Arboretum on Frederick Law Olmsted Way in Asheville. Admission is free with the $8 per vehicle parking fee. This judged show exhibits hundreds of colored chrysanthemums in full bloom while highlighting the different and varied sizes, shapes, and colors of these marvelous works of nature's art. The show is in its 35th year of focusing on the beauty and simplicity of this fall flower. The chrysanthemums are judged and displayed in 13 distinct categories. Visitors can find a school competition and decorative arrangements, as well as a chance to purchase flowers (which begins at 3:30p.m. each day). The University of North Carolina at Asheville hosts one of our favorites, Dr. Andrew Weil, at the Kimmel Arena on Friday evening October 19 at 7p.m. Dr. Andrew Weil is speaking on the topic of Spontaneous Happiness with explanations on how the science, emotions, and spirituality of human beings relate to their innate ability to control and attain positive emotions without external agencies such as antidepressants, drugs, or medications. Dr. Weil has studied the epidemic of depression in our nation, as well as having struggled with it himself. He offers his personal expertise and experiences as well as investigating the causes of depression, the treatments for it, and the strategies necessary to achieving contentment throughout life. Admission prices run from $25 for stadium seating to $35 for floor seating and can be purchased through the University of North Carolina's ticketing website. It's the perfect opportunity to see this New York Times bestselling author in person and hear him speak on this important topic that affects so many in this country. Don't let this opportunity pass; we think you'll enjoy it and gain insight from it. We hope we've given you some ideas on what to do this weekend. 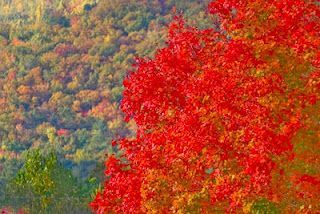 If you're heading to Western North Carolina sometime this week, here's the weekly fall forecast and color report. The colors are peaking and it is absolutely gorgeous. Come and see for yourself! 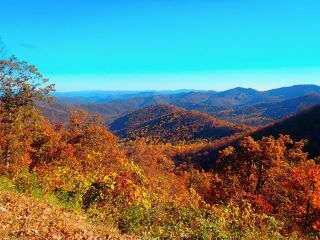 We can help you find your ideal North Carolina mountain getaway, so you can be fully immersed in the fall beauty. We didn't mention it last week, but we are also still counting down to Moogfest. It's almost here. One week! We hope to see you soon. Happy Autumn and enjoy your weekend, whatever you may do. Looking for a great way to celebrate the season this weekend? Search no more. Come on out to Wall Street—not the New York location, the downtown Asheville one (we promise this one is way more fun). Downtown Asheville hosts its 4th Annual Oktobertfest this Saturday, October 13 from 10a.m. to 6p.m. Sponsored by the Downtown Asheville Association, Oktoberfest transforms Wall Street into Little Germany where you'll find everything from yodeling and Polka dancing to keg-rolling and costume contests. It's a great chance to proudly showcase your lederhosen or gracefully don your dirndl. Bring a hearty appetite and be sure to come thirsty! Get your fill of German delights including bratwurst, pretzels, and traditional side dishes accompanied by a local favorite, Lusty Monk Mustard. It goes with out saying (but we'll say it anyway) that there is a grand representation of beer on hand at the event. Take part in beer tastings from many of our local breweries including Highland Brewing, Asheville Brewing Company, Pisgah Brewing, Green Man Brewery, Craggie Brewing and French Broad Brewing Company. Many of the brewers are available to discuss their beers, and they are featuring some fabulous seasonal ales. So don't be shy. They are ready and willing to answer questions and will happily tell you more about their best brews. A return favorite at this year's event are The Stratton Mountain Boys. They bring traditional Bavarian music to our Little Germany with shoe-slapping dances, happy yodeling, and spirited Polka music. They are a crowd-pleaser and often incite dancing in the streets, so be ready to join in the fun. Additional entertainment can be found at the various Oktoberfest Games. Local brewery teams are pitted against each other in such events as the the stein race, a keg-rolling contest, and more. We've included the full schedule below, which includes both the team events and the events that are open to the public. Finally, here are the pricing details. If you are not drinking (we feel bad for those such as the pregnant women, designated drivers, children, and others who can't drink... but we certainly do understand) the good news is that you can still join in all of the activities for free! You will just be issued a wristband which will deny you access to the brew. For the rest of us, beer bibbers of course must be at least 21 years of age to drink at Oktoberfest. When you check in you'll be required to present your ticket and your valid ID to receive your wristband. Each person in your party must have their ticket and ID in hand, so don't forget them! You will not be allowed to check in for another person. Tickets are $25 in advance and $35 the day of the event. Oktoberfest tickets can be purchased here, and you can also see a clip of the festival action, as well. You will want to be close to all of the Oktoberfest activities and after all of that beer sampling you won't want to drive (and shouldn't). We suggest you stay locally in downtown Asheville. Stay the weekend on into the week to enjoy all of what Asheville and the surrounding areas of Western North Carolina have to offer. 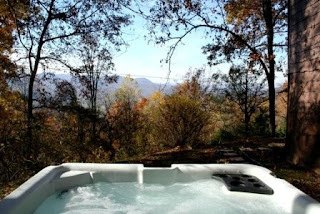 Fall foliage is in full effect, so maybe consider enjoying the view from the hot tub? We'll finish up here with some inspiration from Clark Griswold. If he can join in the German festivities, you can too! We look forward to seeing you there. Have you been to Asheville's Oktoberfest in the past? Give us your feedback in our comment section. Until next time, ein prosit! October in Western North Carolina Brings Exciting Festivals, Fairs, Fun & More! October is here! You can see it in the changing colors, you can feel it in the cool crispness of the air, and you can experience it to the fullest by visiting our Western North Carolina towns. Fully immerse yourself into the season by spending it here with us. On Saturday, October 6 from 6:30-9:30p.m. bring the family out to a night not soon forgotten at Grandfather Mountain located on Blowing Rock Highway in Linville, NC. Get ready to listen to stories told by the light of a flickering fire at Creatures of the Night and Bonfire Delight. Then take part in rare after-dark tours of the mountain which include a nocturnal animal prowl. Brave participants must be at least eight-years-old to attend. There is an additional cost for this activity of $12 ages 8-12, and $18 for adults. Reservations are required and can be made by calling 828.733.8715. Make the trip out to Cherokee Fairgrounds in Cherokee, NC to celebrate the 100th birthday of the Cherokee Indian Fair with the Eastern Band of Cherokee Indians. The celebration has already started and continues through Saturday, October 6. Here you'll find music, dancing, crafts, exhibits and lots of fun. Traditional pieces of this annual celebration for and of the Cherokee people are also an integral part of this event. Just like any typical county fair, Cherokee invites a top-of-the-line carnival to provide amusements all week long including everything from games to high-tech rides, as well as livestock and a petting zoo. This year visitors can find the carnival outside the gates of the fairgrounds with the interior grounds devoted to traditional games and activities. A staple at the Cherokee Indian Fair are the community arts and crafts exhibits, entries, and prize winners from the Cherokee communities on display the entire week in the Exhibit Hall. Admission is $10 daily. For a full listing of daily events and times, please visit the Cherokee Indian Fair event webpage. Starting Saturday, October 6 and continuing through October 31, NOCtoberfest begins a month-long series of events celebrating the fall season each weekend during this time. Highlights of the event include the Beer Garden by the river which invites you to enjoy some old-country hospitality and partake of some fantastic fare. Pull on your lederhosen and come out and join the fun! The Beer Garden menu includes schnitzels, German potato salad, classic beef goulash, and Bavarian dumplings. Beverages include Spaten Octoberfest, Gaffel, Franziskaner, and hot mulled wine. Kids can enjoy hot cider and cocoa. Activities abound including hayrides, a haunted house, face painting, a costume contest, live music, a fall river cleanup, and so much more. Visit Nantahala Outdoor Center's website for complete event details. This is just a sampling of what's going on here this week. Any time you're in our area of the state, be sure to visit ExploreAshville.com's event page for a comprehensive listing of events. We know you won't want to miss out and it's a helpful tool in planning your trip itinerary (in conjunction with reading our weekly blogs, of course). Finding a wonderful and convenient place to stay while visiting is easy, too. Choose a cabin nestled in the fall foliage or find a centrally located place right in Asheville. Customize your stay by choosing the amenities suited to your wants and needs. It's an integral part of a successful vacation. We want this to be your home-away-from-home. We also want you to come back and visit often! We have a lot more excitement heading our way this October, so stay tuned. Our countdown to Moogfest begins now—three weeks! What's your favorite thing to do in Asheville and Western North Carolina during the month of October? Tell us about it in our comment section. Happy October!